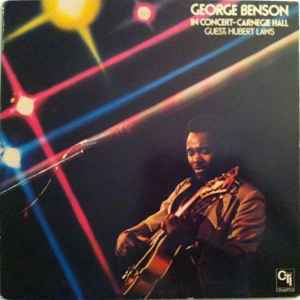 "This stellar live recording, made one year before the massive crossover success of Breezin' features the guitar master burning through Paul Desmond's "Take Five", Freddie Hubbard's soulful "Sky Dive" and two hard-grooving Benson originals. And although he had sung on record previously, his unique vocal approach to Gershwin's "Summertime" raises the bar considerably, clearly setting the stage for "This Masquerade", "On Broadway", and other hits. This indispensable recording documents a landmark concert by an absolute genius at one of the world's great venues - finally back in print on Mosaic Contemporary, the home of the Best of the Best in Contemporary Jazz."